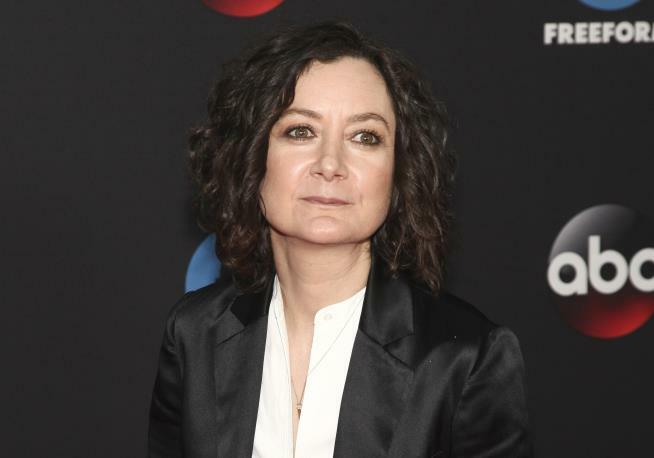 (Newser) – Sara Gilbert is leaving the daytime talk show she helped launch. Gilbert announced Tuesday on CBS' The Talk that she's decided to exit as a co-host because of her packed work and personal schedule, the AP reports. Gilbert, who produces and stars on ABC's The Conners, said her life was "slightly out of balance." Not to worry, as soon as that awful show the Conners gets cancelled, you will have a ton of free time! "Gilbert...said her life was 'slightly out of balance'" Only slightly?